For a good choice of hotels with discount prices, visit Accommodation in Ayr for more information. 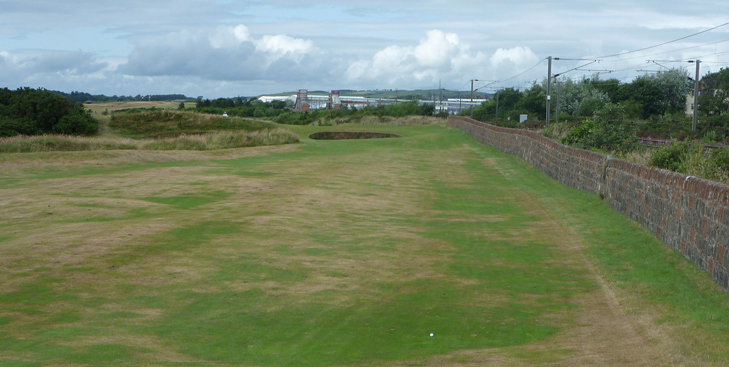 Prestwick Golf Club Hole 1: “Railway” is one of the most famous opening holes in golf. Short and with the prevailing wind being towards the green, it requires not distance, but accuracy. The key is also mastering the fear of having the clubhouse and many people watching you for your first shot along with trying to avoid hitting a passing train. Prestwick Golf Club Hole 2: The first par three of the day is pretty ho-hum, but the golfer should avoid the bunkers if possible. 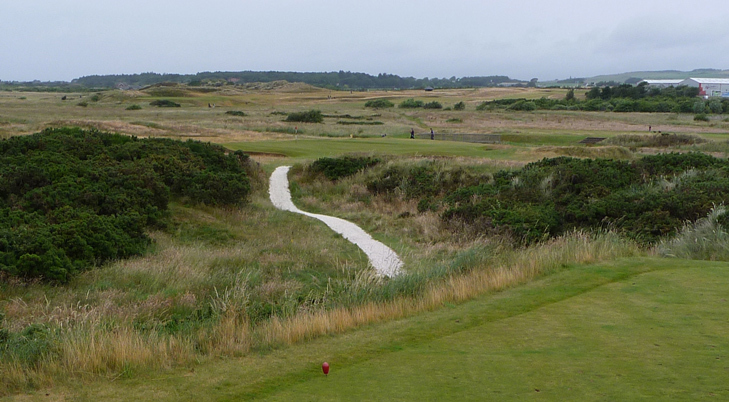 Prestwick Golf Club Hole 3: With one of the most famous bunker complexes in the world, the “Cardinal” is a short par five that is very unusual. The drive must stay short of the hole’s name sake or somehow skirt the edges into the sliver of fairway between them in order to realistically go for the green in two, which is located far to the right. 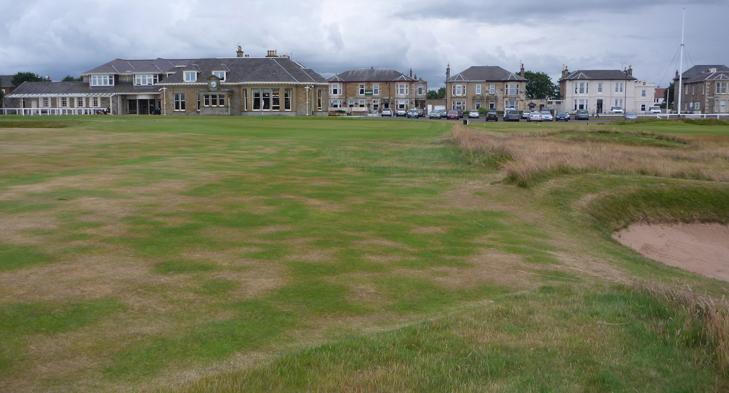 The second fairway looks like it was bombed heavily and stays that way until the sunken green. So, any shot going that way needs as much luck as skill. 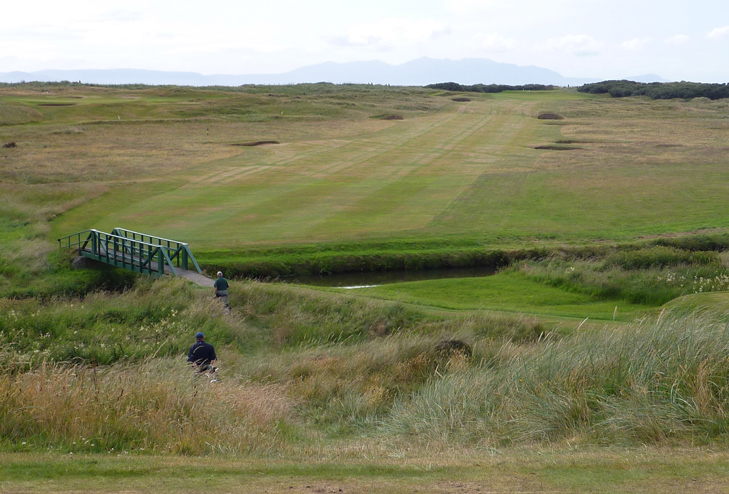 Prestwick Golf Club Hole 4: Visually confusing, one can see the green hugging the burn in the distance not far away, which tempts them to fly the cross bunkers in the center of the fairway, but this is a risky proposition to flirt with the burn down the right. Conservative shots left of the bunkers leave a more difficult angle to a green running away, however, and a push on the 2nd shot will head towards the burn as well. Prestwick Golf Club Hole 9: A brutal close to the front nine is from an elevated tee with bunkers left and heavy heather to the right. 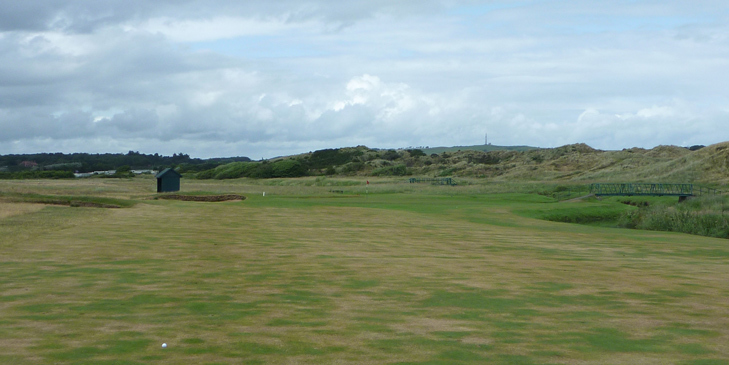 The second shot, usually with a long club is semi-blind as the green is to the right around the main dune and downhill, but only at the end. Thus, a running shot will have a good shot of trickling down to the green, which slopes heavily left to right, which is also near the collection bunker. 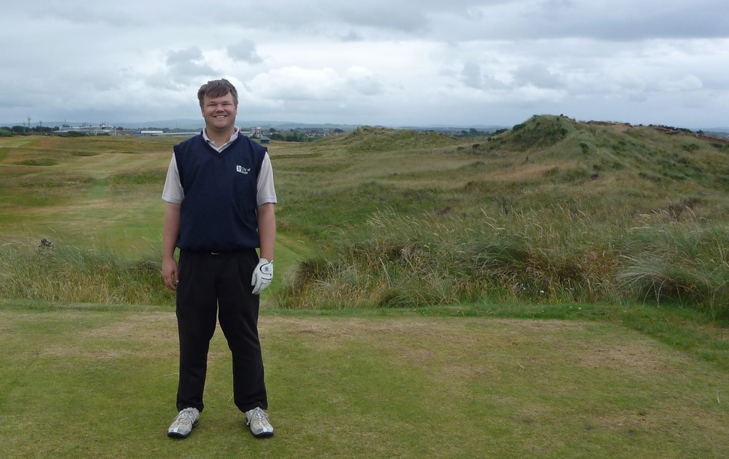 Prestwick Golf Club Hole 10: One of the great difficult par fours in the middle of the course, this one has an elevated tee so the fairway, green and distant Arran islands are visible, as is all the trouble lurking. The uphill shot to the green will be long and the green will reject shots hit right. 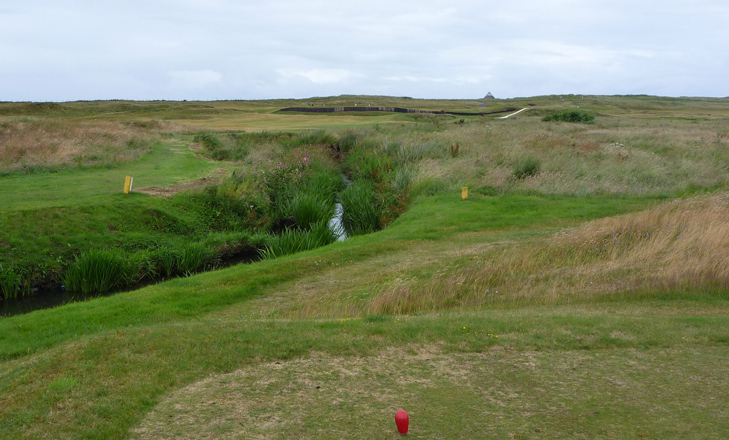 Prestwick Golf Club Hole 18: In today's golfing world, the finishing hole is usually a tough par or volatile par 5 with big swings in score possible for drama. This hole could be classified in the volatile par 4 as it is only 284 with no trouble straight in front of the green. Thus, the big hitter who can hit a straight shot has a shot at eagle. However, the pushed drive can find deep grasses or the awkward 80 yard bunker shot. Even worse, a shot that goes about 5 yards over the green is OB. So, although the hole is not memorable per se, I imagine it has created some stories over the years.